We know you might have questions about Certified Hearing Aid Care and about hearing aids in general. That’s why we’ve compiled a list of our most frequently asked questions. Simply click on a questions and the answer will be revealed. Of course, if you don’t see your specific question listed here, or if you need more information about any of the topics covered, please do not hesitate to contact us. Will I be charged for hearing exam and office visits? At Certified Hearing Aid Care, we never charge for a hearing exam or an office visit! We perform an audio evaluation to determine the benefits of amplification. This is not a medical test. It is solely for the purpose to evaluate your hearing and recommend the use of a hearing aid. Yes. Certified Hearing Aid Care offers payment plans to suit your budget. We also accept most hearing aid insurance plans and credit cards (MC, VISA, DISCOVER). At no charge to you, our friendly staff will call your insurance provider and confirm your hearing aid coverage. Call us with your insurance information, or bring it with you when you visit us. What insurance plans do you accept and how do I know if I am covered? 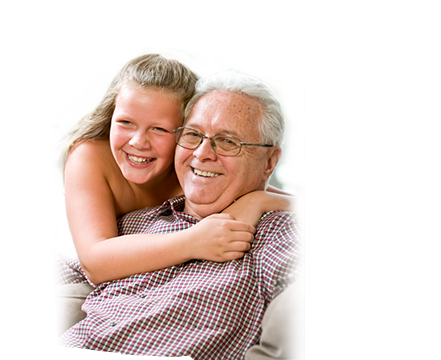 Certified Hearing Aid Care accepts most hearing aid insurance plans. At no charge to you, our friendly staff will call your insurance provider and confirm your hearing aid coverage. Call us with your insurance information, or bring it with you when you visit us. I’ve purchased a hearing aid from another provider. Can I bring it to Certified Hearing Aid Care for maintenance and repairs? Absolutely! We will service any hearing aid, by any manufacturer, regardless of where you may have purchased it. Does Certified Hearing Aid Care offer a trial period on hearing aids? Yes. We offer a 45-day, 100% money back guarantee on all hearing aids. Is there a fee to return my hearing aids? No. In the rare instance where a hearing aid is returned, you are entitled to our 100% Satisfaction Guarantee, with no restocking fee. When it comes to hearing aids, there are so many different styles and manufacturers. Which is best for me? When you come to Certified Hearing Aid Care, once we determine your need for a hearing aid, we will explain the different styles and manufacturers that best suit your level of hearing loss, your lifestyle and your budget. How long is the manufacturer warranty on a hearing aid? Hearing aid warranties differ from manufacturer to manufacturer. They range from 1 to 3 years and most cover repairs and protection against loss or damage. When you visit Certified Hearing Aid Care, we will explain the manufacturer warranty to you when you select your hearing aid. Can I purchase an extended warranty or hearing aid insurance? At Certified Hearing Aid Care, we understand accidents do happen. You can purchase manufacturer extended warranties and hearing aid insurance to cover such events. Give us a call or ask us when you visit us for more information. Are there any additional costs when purchasing a hearing aid from Certified Hearing Aid Care? The only additional costs you will incur after you purchase your hearing aids are batteries and any extended manufacturer warranties. Note that manufacturer warranties vary from 1 to 3 years on new purchases. Do you carry specific brands of hearing aids? Yes. At Certified Hearing Aid Care, we carry all major hearing aid brands and manufacturers. Do you repair hearing aids at your Middletown, NY location? Yes. We can do most minor repairs on site at our Middletown office. For hearing aids that require manufacturer repairs, we will provide a loaner hearing aid at no charge. How often do I need to clean or service my hearing aid? Certified Hearing Aid Care recommends that your hearing aid be cleaned and its diagnostics be checked every 6 months. As an added benefit to our clients, we will perform this service at no cost to you! With proper care and maintenance, a hearing aid can last 5 to 7. You may decide to upgrade your hearing aid sooner if a newer model or better technology is available. Yes, however, most people have a symmetrical hearing loss and benefit by wearing two hearing aids to help with directionality and the ability to hear better in noisy environments. Hearing aids are so noticeable. Won’t everyone know I have a hearing problem? Hearing aid technology has changed and improved drastically over the years. At Certified Hearing Aid Care we can recommend many different types and styles of hearing aids that are virtually unnoticeable. Remember, if you DON’T wear a hearing aid and keep saying “What?”, people will notice your hearing loss more than your hearing aid.